First Blood. The Model J was and remains strong in the bloodline of Harley-Davidson. Introduced first in 1915, it was a 61-cubic-inch F-Head V-twin that pounded adrenalin-pumping power to a wildly unsuspecting public. Essentially, two big pistons move up and down and, phase-fired in turn, their explosive hammer blows convert into the rotary movement of a mighty crank shaft. The sheer weight of the bottom end delivers tonnes of torque at low speed. On top of this is the din of hard iron and ancient combustion which remains, to this day, to be matched. 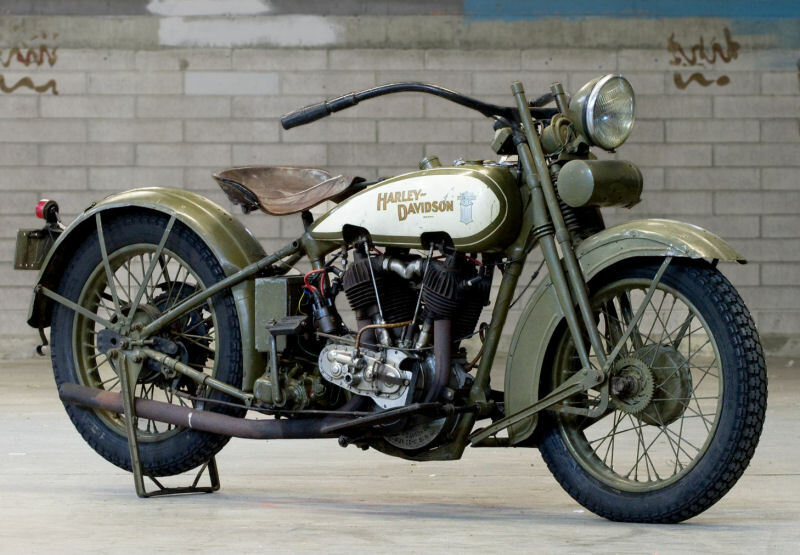 It seems that the crucial ingredients of Harley-Davidson today have not changed in over 90 years! For many, the Model J is the Zambesi River of V-twin design – the source of all others. This particular machine is in original working order; it has spent its life in rural New Zealand since new and its patina reflects some hard but golden years.